Find out the Previous Winners and What the surprise's where. The person that tells us the best banned card by Wednesday 12/30/2015, Wins the Competition and a special Surprise. The person with the best deck strategy get's a special surprise. Just say your deck strategy in this forum topic and you're automatically entered. This contest starts Monday, 12/28/2015 and ends 1/1/2016. The person that comes up with the best Exodia deck by 1/3/2016, Get's a Mega Surprise. Show off your amazing Deck Recipes to all the members of our Community. 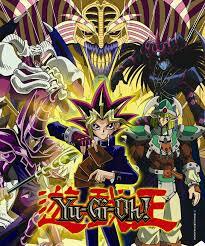 Help others with their knowledge on Yu-Gi-Oh! By sharing your strategies with people. The more you give the more you get. So just keep on giving! Talk about your Real Life Yu-Gi-Oh! Experience in this topic. Talk about all Things Dueling Network here. Have Questions about What a card does how how it reacts to another effect? This is your place to ask it. You can share ideas and have great conversations in this topic. This subject contains how the forum rankings work. Website Suggestion? Post them here. If you have any website suggestions you want to get recognized for, just post them here. They will all be taken into consideration.